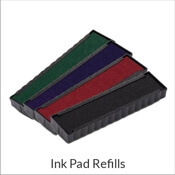 Is it time to order a new Trodat 4915 stamp or replace your ink pad? 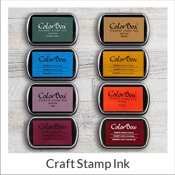 Here at Simply Stamps we have assembled just the selection you need! Find the right size you want and customize to meet your needs. 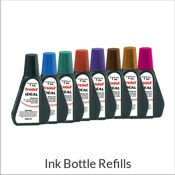 Shop the Trodat 4915 self-inking stamp with 5 lines of text in your choice of ink color and font, or find the correct ink pad replacement for your existing 4915 model stamp by Trodat, designed for the 1" x 2.5" impression. 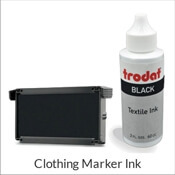 We know finding the correct model number can be tricky, so we have put together an easy-to-shop selection of Trodat 4915 items.